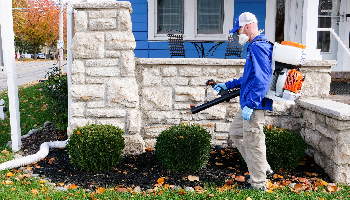 Once we’ve assessed where the mosquitoes are breeding, we’ll apply an environmentally-friendly residual treatment around your property, focusing on areas where mosquitoes like to rest throughout the day, like bushes and trees. Our mosquito treatment works great for pests like fleas and ticks, too! Keep your home protected from mosquitoes all summer long with our Mosquito PLUS Program. Monthly mosquito treatments will ensure your family and pets stay bite-free throughout the season. The program includes protection from wasps, fleas, spiders, and many other common pests as well.